P.S . I have uploaded the images, thanks. 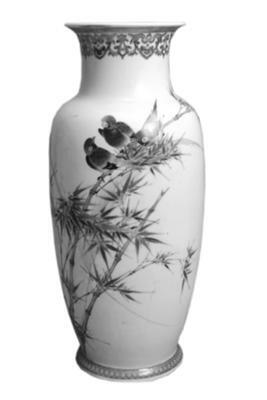 This specific vase looks more like a 20th century product to me. The picture is too small to say much, but from the decoration style and foot shape it is either 20th century or not Chinese, in my view. Could be Japanese also. If you want us to check further, I would recommend you upload larger pictures with good resolution to Photobucket or a similar site, and post the link here. Details of the bottom, mouth (just inside the top rim) and of the decoration should be visible. If there are any spots or blemishes, they can only help.